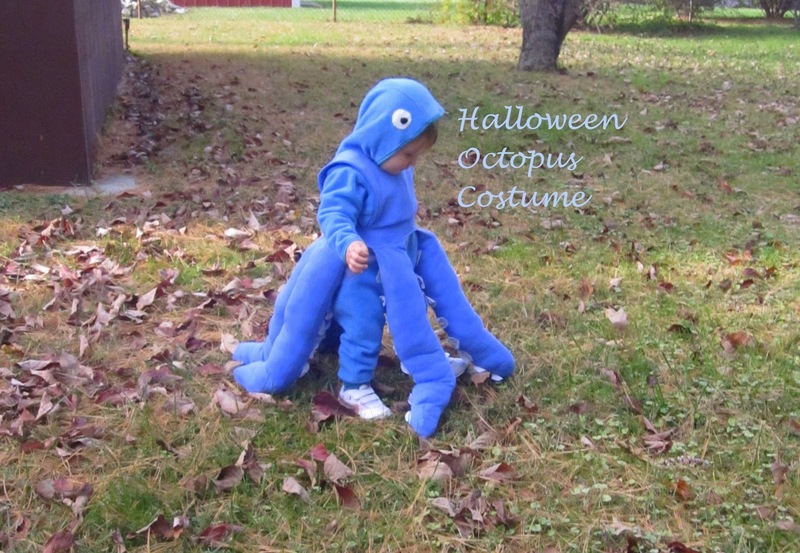 I decided to post some pictures of Bean’s octopus costume from last year. The outer costume still fits her well, but the jumpsuit she wore at 5 months old doesn’t work this year, hehe. 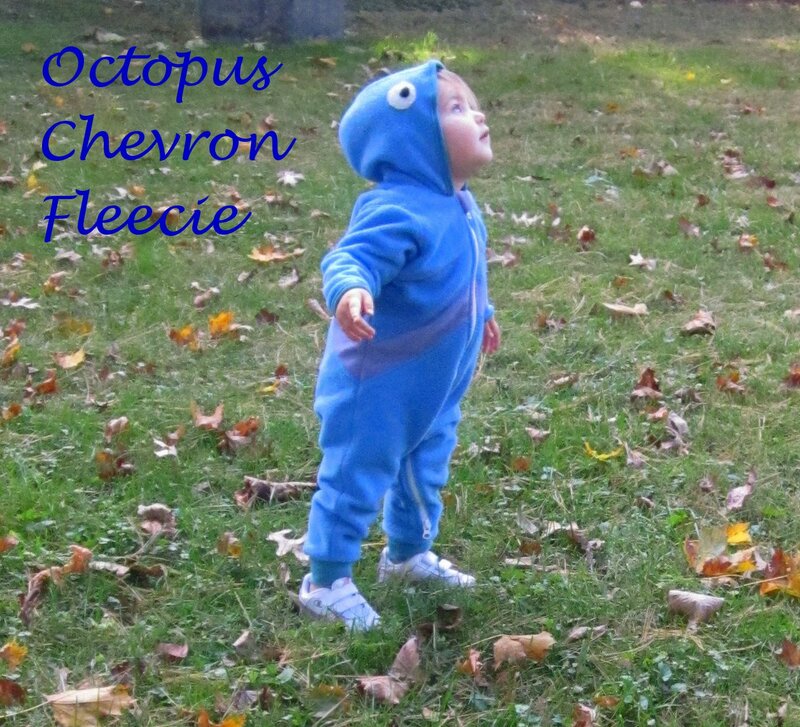 So I just took the Chevron Fleecie I made her last spring (which fits perfectly now) and sewed some eyes on the hood which worked like a charm. She’s very interested in EVERY airplane that goes by these days, hehe. Just to see the comparison, the following is a picture of the jumpsuit I made for Bean to wear under the costume last year. In order to make the octopus outer portion, I made six tentacles and attached them to a bib/vest which then could go over the jumpsuit. 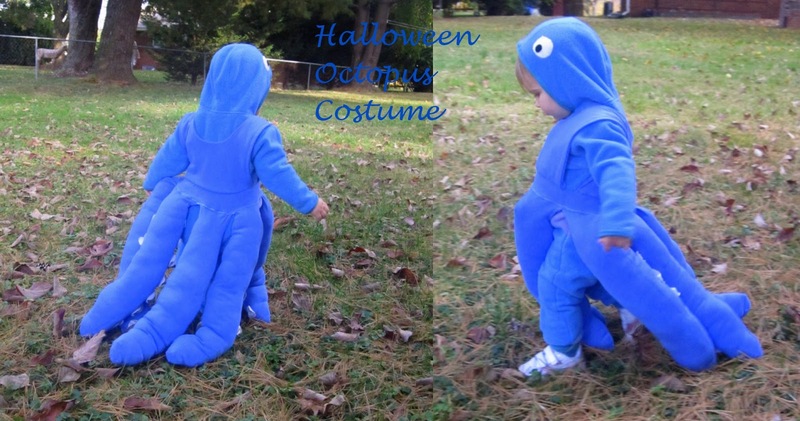 I used a similar method to make the turtle costume this year. All of the fabric for the jumpsuit and the outer portion is this great blue knit that I had found which is soft and comfy. 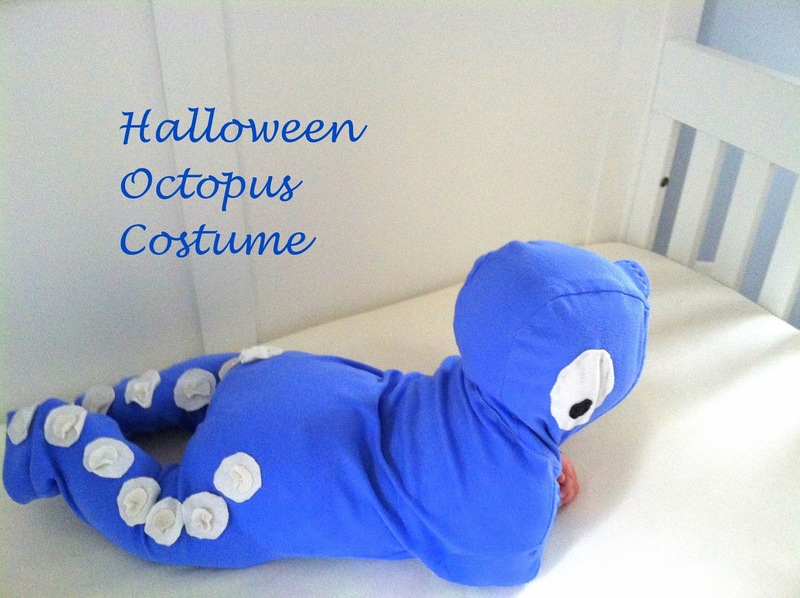 The tentacles were made by sewing “tentacle shaped” pieces together with right sides facing, turning to right sides, and then stuffing. 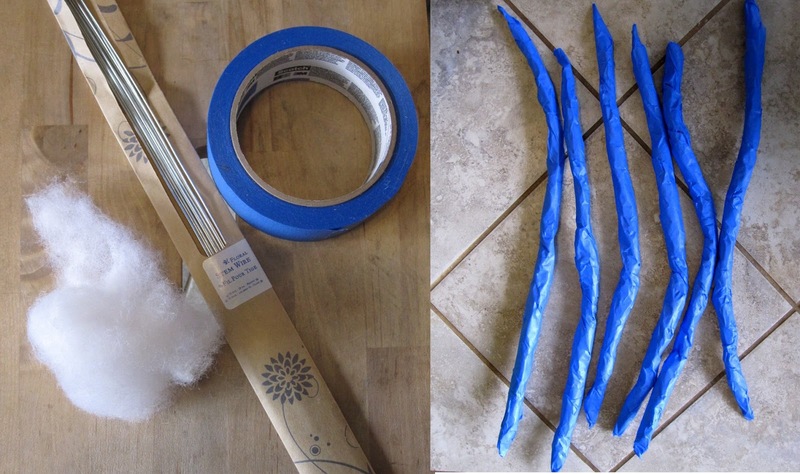 I also used some thick floral wire wrapped with stuffing and painters tape to allow for a little bit of bending. These were put into the center stuffing of the tentacles while stuffing – making sure none of the wire portions could poke through. 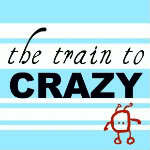 It still makes me laugh seeing this picture! 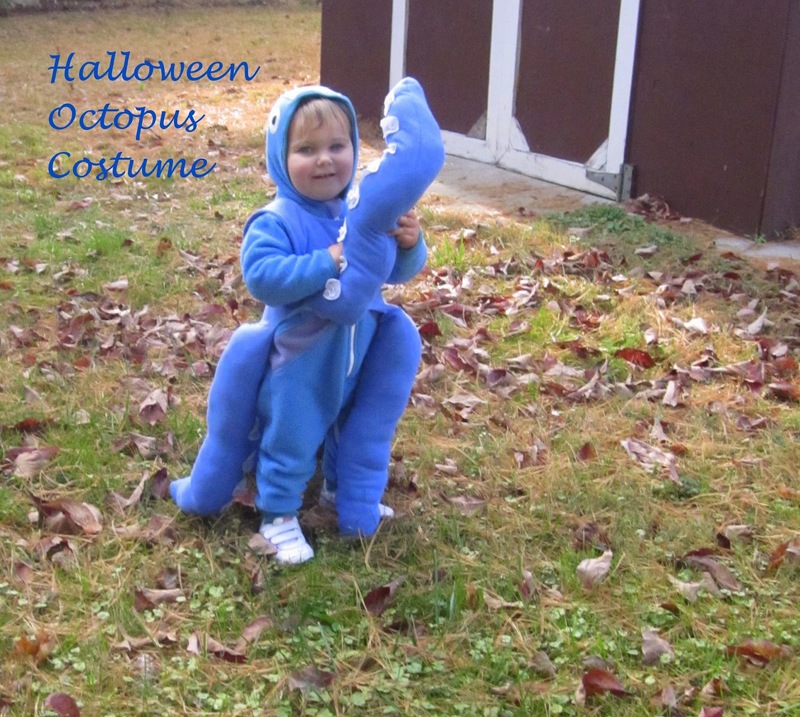 Now that Bean is walking/running around I thought the octopus costume would be fun to try on again. It was cute enough that I sewed the eyes onto her chevron fleece to make an inner costume to wear. The eyes are easy to remove once halloween is over since I just tacked them down to the hood. Watching Bean try to walk with all those tentacles was hilarious. She was determined to get around though! First one way and then the next. She was cruising, hehe. The way the tentacles fanned out in back was great. She kept pulling the tentacles up out of her way and I couldn’t stop laughing. I’m happy that this costume I made last year still fits her. I think making the outer bib portion was the best idea, which is why I did the same with the turtle costume this year. It should help to get longer use from a single costume. 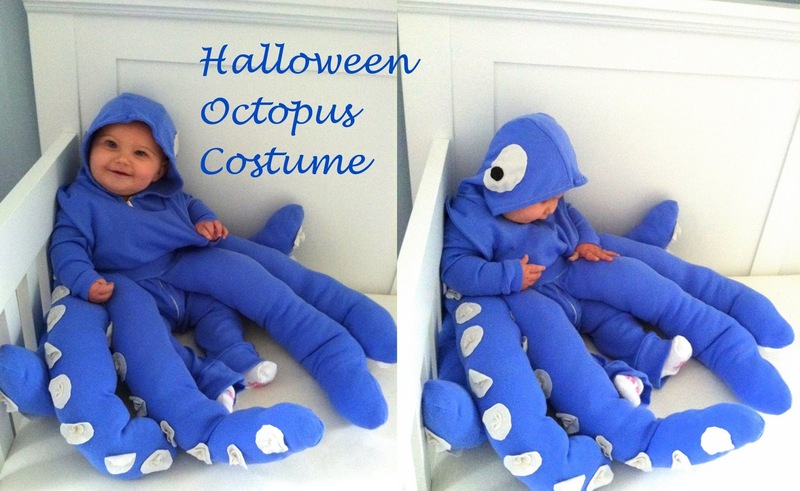 I can't stop laughing that she pulls the tentacles out of her way. Hysterical. 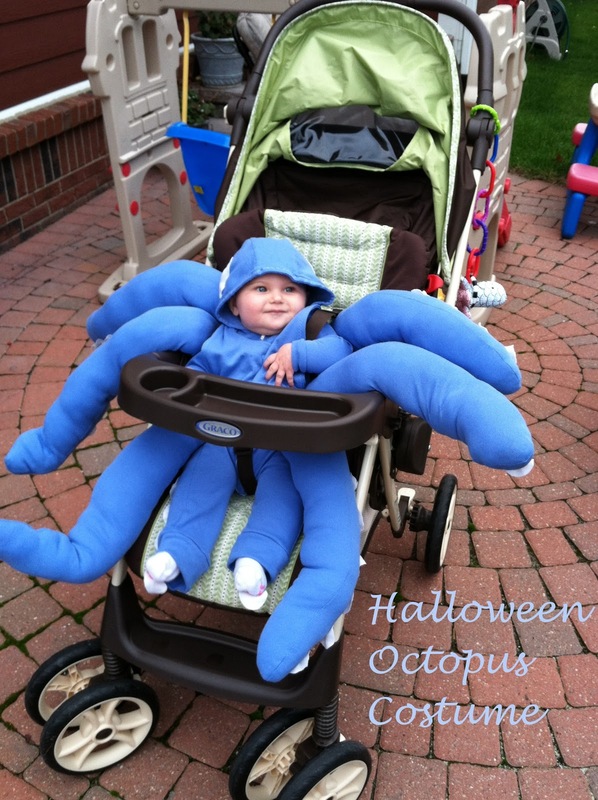 Most adorable costume ever! She certainly looks like she enjoyed herself!